Yvonne Bruls was born in Heerlen, the Netherlands, on July 27th 1990. 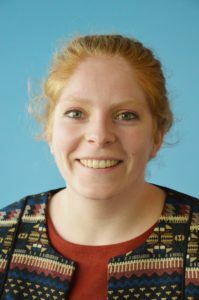 After graduating from the Sintermeerten College in Heerlen in 2008, she started her bachelor Health Sciences at the Maastricht University, with specialization in Movement Sciences and Biological Health Sciences. In 2011 she graduated and received the Top 3% award for belonging to the top 3% of best students of the Faculty of Health Medicine and Life Sciences. Subsequently, she started the Master Physical Activity and Health with the specialization in both Biology of Human Performance and Health, and Sports and Physical Activity Interventions. During her master Internship she investigated exercise effects on intrahepatic lipid content and hepatic metabolism in relation to obesity, type 2 diabetes and non-alcoholic fatty liver disease. This internship resulted in publications in Clinical Science and the American Journal of Physiology, Endocrinology and Metabolism. In September 2013, Yvonne was appointed as a PhD student at the department of Radiology and Nuclear Medicine at the Maastricht University Medical Center, the Netherlands. Yvonne worked, under supervision of dr. Vera Schrauwen-Hinderling, Prof. dr. Patrick Schrauwen, Prof dr. Matthijs Hesselink and Prof. dr. Joachim Wildberger, on her research project entitled: “Acetylcarnitine: the role in metabolic flexibility and insulin sensitivity”. Her work was in close collaboration with the department of Nutrition and Movement Sciences and conjoins clinical interventions with MR spectroscopy techniques to non-invasively investigate metabolic disturbances in humans. Yvonne continued her career as a postdoctoral researcher at the department of Radiology and Nuclear Medicine at the Maastricht University Medical Center. She currently performs a human clinical intervention study with carnitine in patients with Type 2 Diabetes.